As we, if you’ll excuse the pun, dive into the real meat of this latest chapter of the Azami arc, things are certainly taking a turn for the better. 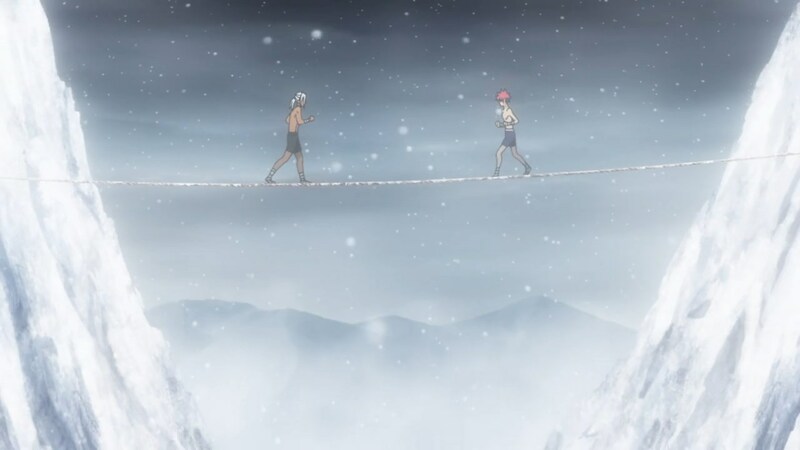 Its ironic, because the title of this week’s episode focuses on the idea of “walking the tightrope”, a concept that applies not only to cooking, but to anime adaptation as well. Both crafts require a lot of finesse, split second decisions and careful hard work to ultimately succeed and be satisfying, and as you’ll find this week, one of these elements is not as good as the other. Yes, I’m talking about this adaptation’s pacing again. Yes I realize that I’m a broken record at this point, but I just can’t help myself. With all this talk of tight rope walking and going all in, its like the show is begging me to just look at it more critically. 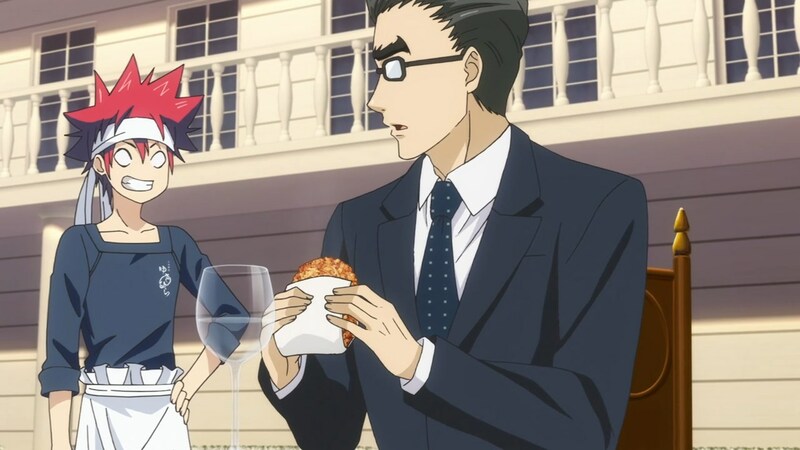 I love Shokugeki no Soma as a franchise, and I especially love it as an anime series, so when the adaptation under performs well… It certainly hits a bit closer to home. Look, I’ll be the first to admit that this week’s episode was a pretty darn good one. One of the biggest improvement to this week’s episode was the fact that it did, slow down a tad bit from last week. Things were still flying by pretty quickly, but at the very least we had about half the episode to digest what was going on with regards to Hayama and Soma. 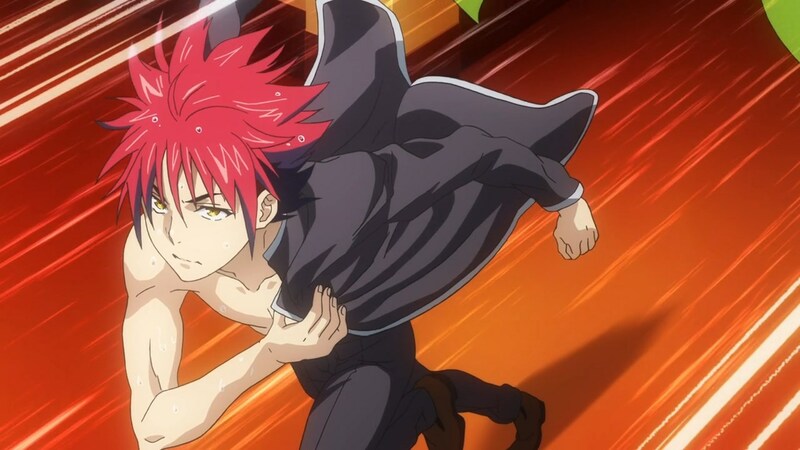 This was one my major complaints last week, the rather rapid speed at which we went straight into Soma’s bout with Hayama. Its no stretch to say that a good story, a good piece of entertainment, is all about building anticipation and excitement. This is something that I remember Shokugeki no Soma doing to a degree that had no frigging equal. I remember way back in season one, there was a moment that really sold the series and franchise to me. 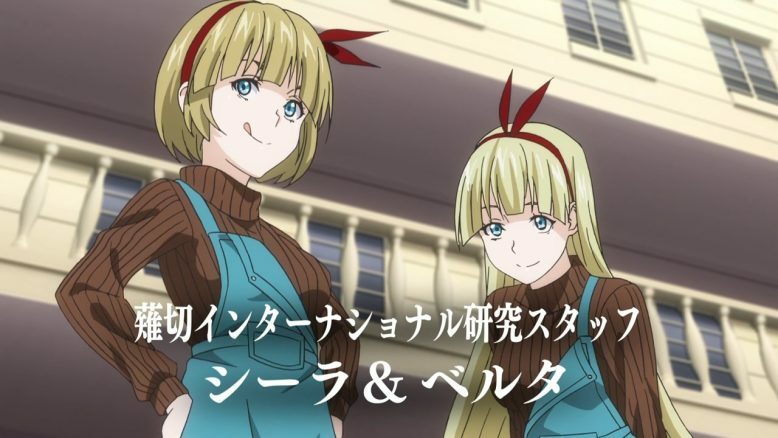 It was episode 14 I believe, the episode where Soma’s in the Summer Training camp, and ends up making that Egg Souffle for a buffet and barely skirting through it all. That episode was fantastically exciting, it was 22 minutes of just insanely good television, but I think something that I overlooked when I covered that episode, was just how important the previous episode had been in terms of setup. We had an entire episode before we got into Soma’s big brush with failure, that basically setup the task for him, and then proceeded to focus on every other character. The show knew that Soma’s whole moment was going to be a big deal, so it smartly gave us an entire episode “AWAY” from the action, only to dive in later and go all in. This week’s episode? It unfortunately couldn’t do that, because the episode before it just wasn’t as strong or as well paced as it needed to be. 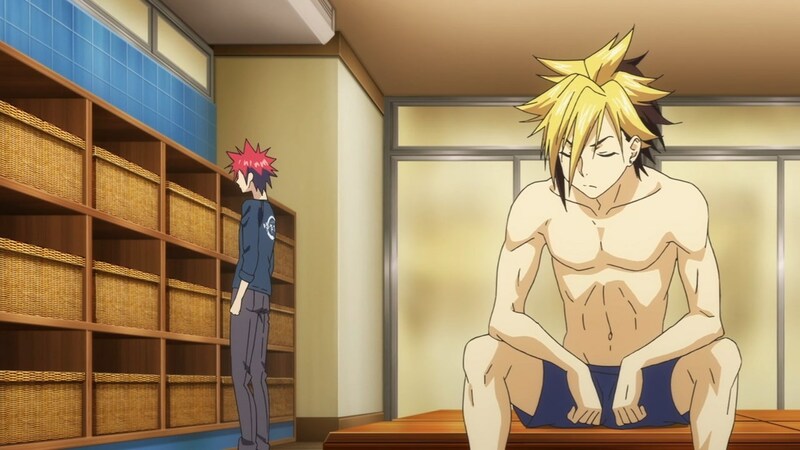 Last week’s episode rushed us through Soma’s “break” from Hayama and unfortunately brought things back to the actual task at hand waaay too quickly. The payoff, as a result, is just not as powerful, even if it decently well done regardless. See, this week we get the ultimate backstory for Hayama and why he’s with Central. It’s a good story, its clever, and it points to another smart part about the Azami arc. Azami, as a character, is the very personification of the rapid change and destruction that happens when new management comes in. Azami has certainly got a vision for what Totsuki is, but his approach to bringing forth the change is to basically remove anything that doesn’t match it, rather than do something more transitional. Its the kind of problem that happens to a lot of talented teams and people in big corporations, who are doing exceedingly well on their own, but who lose their place and purpose because of decisions and changes outside of their control. 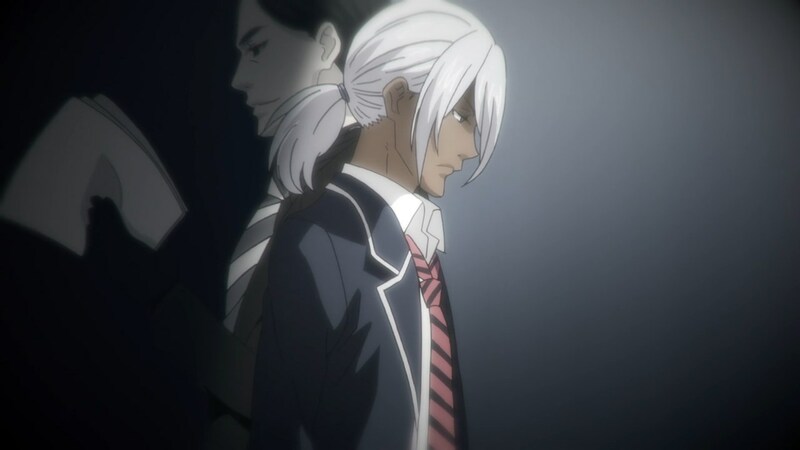 Hayama falling victim to Azami’s machinations, and then also being manipulated and forced into joining Central rather than fighting against it is well… Pretty darn awesome. The story does a great job of ultimately comparing Soma and Hayama’s reactions to the whole arrival of Central this week. It’s Soma that basically calls Hayama out on his approach, saying that Hayama clearly didn’t respect his own research group enough to actually fight for it. In some ways, Hayama allowed himself to be bullied and it all ties back to Jun, the woman he cares deeply for. 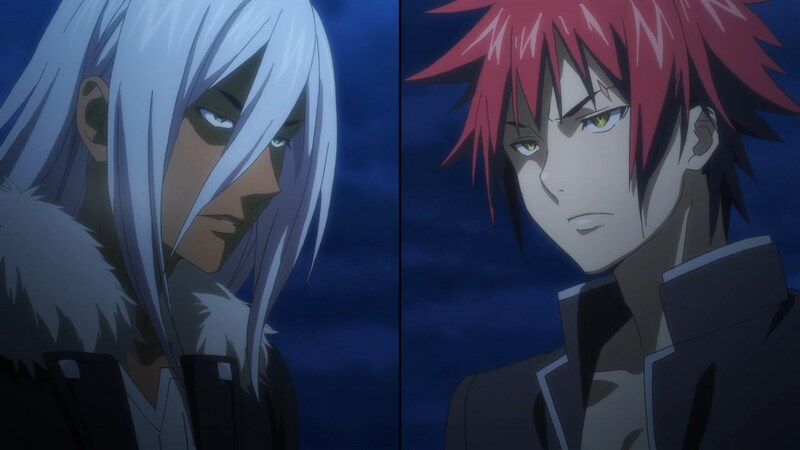 In a rather strange twist of fate, it seems that the very thing that brought Hayama success in the past, is his Achilles heel when he confronts Azami. Hayama has something tangible to lose, which results in his rash decision to “join the winning side” rather than resist it. That’s not the best response to evil or tyranny, but its often the reason why so many people end up failing to take a stand. Look, what I’m trying to say here is that Hayama’s backstory actually has a lot of nuance to it. Its smart enough and clever enough that I honestly do believe that the story would’ve been served a lot better if the episode had primarily focused on it, instead of fusing it in with a ton of other things. I mean, the Hayama backstory is just one nugget in this story, as there’s Soma’s earlier confrontation with Hayama, his second confrontation following what he learns about him, and then there’s also the other rebel kids going about their business as well. 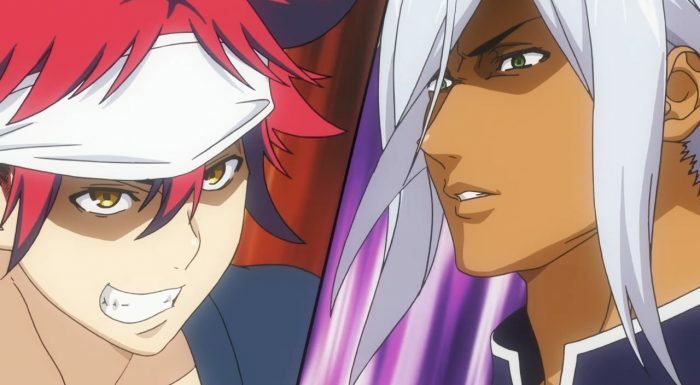 We not only check in with the rest of the cast of characters, but we then dive head first into the actual match between Hayama and Soma in this very episode. And the match itself? Its definitely a good one, with some solid moments focusing on the “boxing match on a tight rope” imagery that exemplifies the ultimate battle between Soma and Hayama. Its good, but again, I honestly feel like we jump into it too fast. I remember when I read the manga, I was a lot more excited, really enjoying the clash of wills between both characters as they sought to outwit the other. Plus even that bout itself is mangled a bit by the introduction of the judges for this particular exam. Yes, the judges are important here, and they’re decent characters, but that’s yet ANOTHER plot point that has to be crammed into an otherwise already overcrowded episode. To make matters worse, we actually get through Soma’s cooking and his particular approach, with hints about Hayama’s, all in the span of the last few moments. 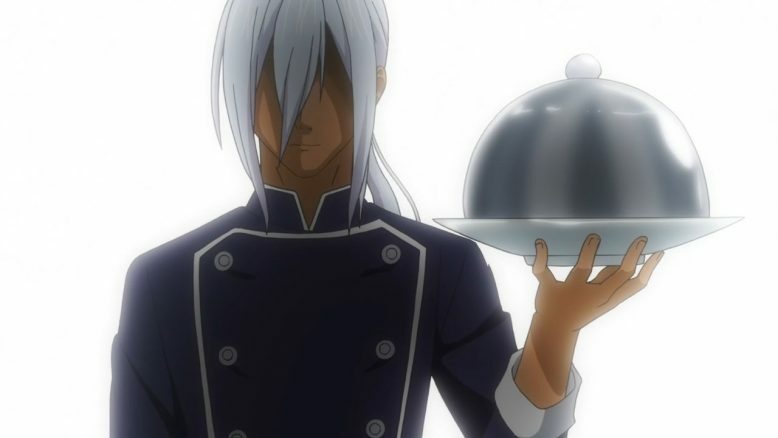 The cooking match is basically over by the end, with Soma having already gone, and Hayama coming in for the proverbial kill with his own offering. Ultimately, what this means is that we’re going to have the conclusion at the start of next week’s episode, and then basically jump into whatever comes next. Does it work? Uh yeah, I suppose, it does. What it doesn’t feel like, however, is smart adaptation work. It just feels like everything could’ve been expanded just a touch more and thus we could’ve bled into one extra week and seen a much better paced story as a result. One episode for Hayama’s intro and Soma’s exploration of the Bear meat, One episode for Hayama’s backstory and the introductions of the Judges, and one week for the actual competition and its result. It doesn’t seem like rocket science here, even if I am oversimplifying things a bit. Its just, a bit perplexing to see the show be adapted in a way that just waters down the moments, when a bit of clever editing and spacing could’ve made for a much better overall experience. I do also realize, that the last few weeks, and especially this one, have been all about me basically focusing on the show’s faults and not appreciating it as much as I should. I get that, I get that this episode wasn’t altogether terrible. I gave it an A- grade for that very reason, and I do believe its quite a bit better than what we got last week. The problem is, with Shokugeki no Soma, I don’t think that’s simply good enough. We’ve already had a “taste” of what this story can be like with proper pacing, and I just can’t seem to ever forget that.